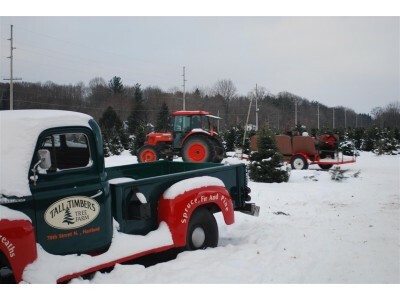 The holiday rush is over, and here at Christmas Farms, we’re taking a few days to relax, take an extra mug of coffee or hot chocolate, put our feet by the fire and watch the first snow of 2015 fall on our acres of trees waiting for their time to be harvested. Not that we get to relax for too long. Planting, trimming and caring for our trees is a year-round effort. It’s an effort we enjoy, but this is a good time to catch our breath, and to say thank you to our loyal customers and to our new customers who discovered how easy it is to order beautiful wreaths and Christmas trees delivered right to your door. Thank you for your business and we hope to hear from you closer to the end of the eyar. Until then, have a great 2015!